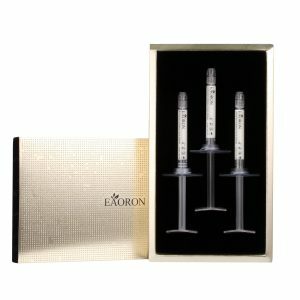 EAORON SWF Whitening Capsules Daily Youth Restoring Serum 138capsules. 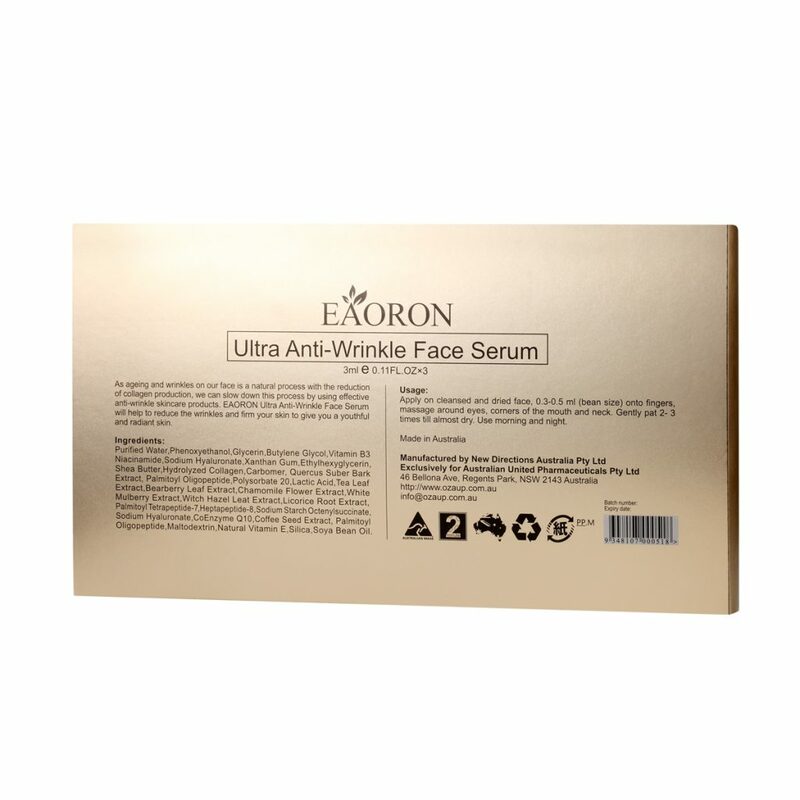 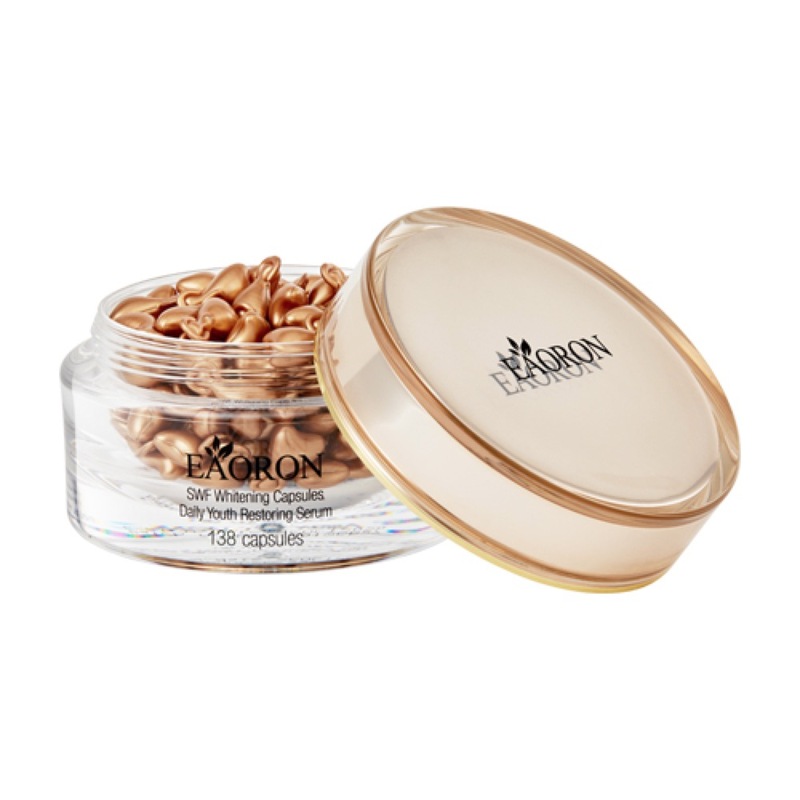 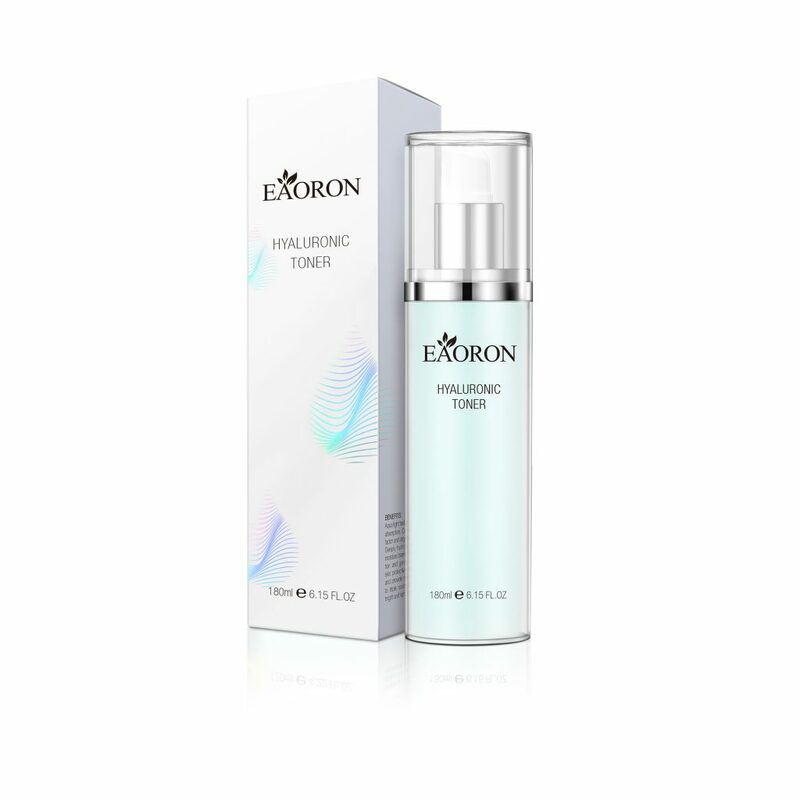 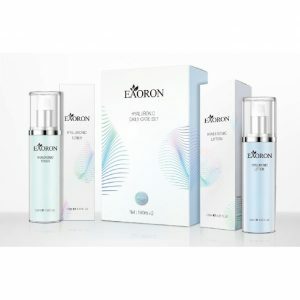 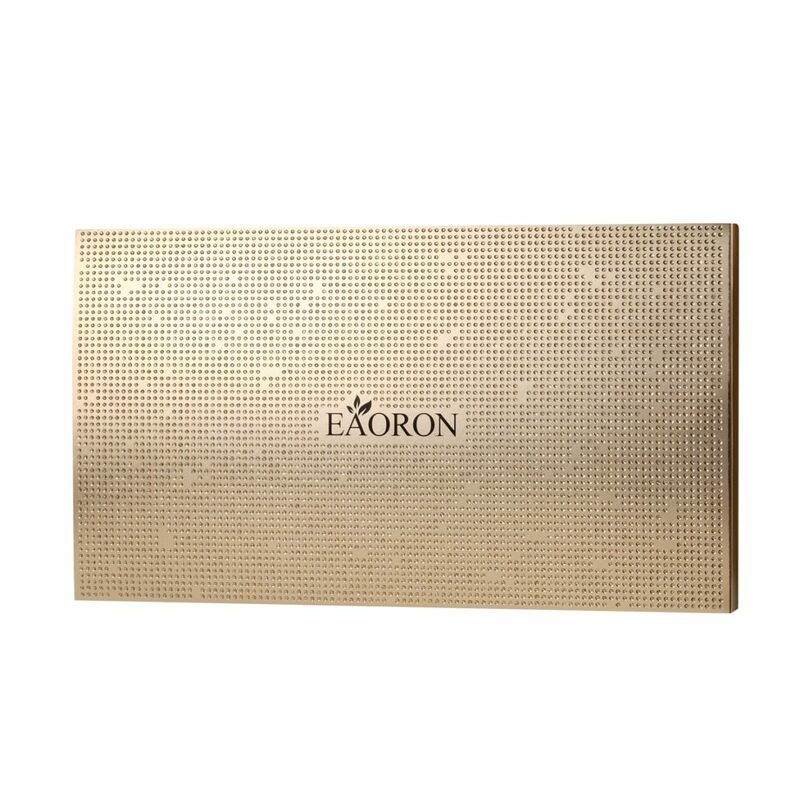 EAORON SWF Whitening Capsules Daily Youth Restoring Serum Affected by aging, pollution and UV, skin slowly appears aging-signs and dull complexion. 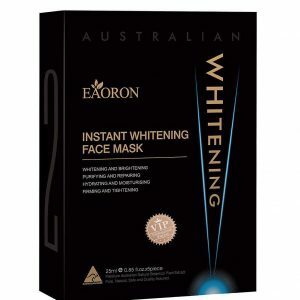 Special Australian natural native extract complex and SWF skin-whitening factor promote skin’s natural repair process, diminishing the appearance of aging signs for firmer, whitening, healthy-looking skin. 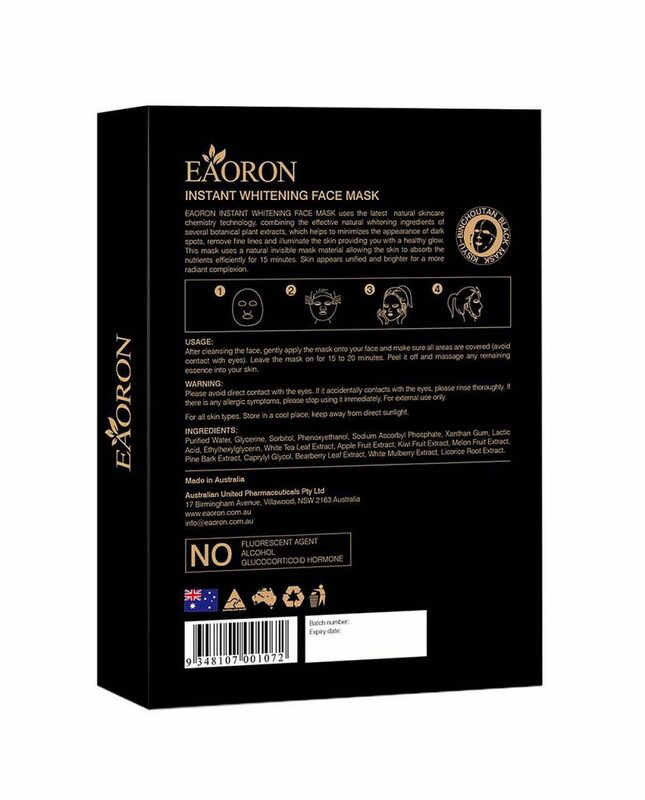 HOW TO USE: Twist off tab and gently squeeze contents of capsule onto palm. 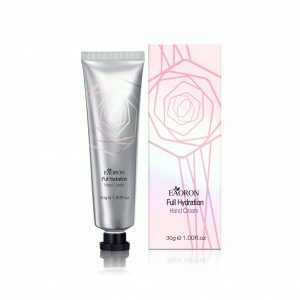 Apply to cleaned face and neck, and gently massage skin until entire content has been obsorbed completely. 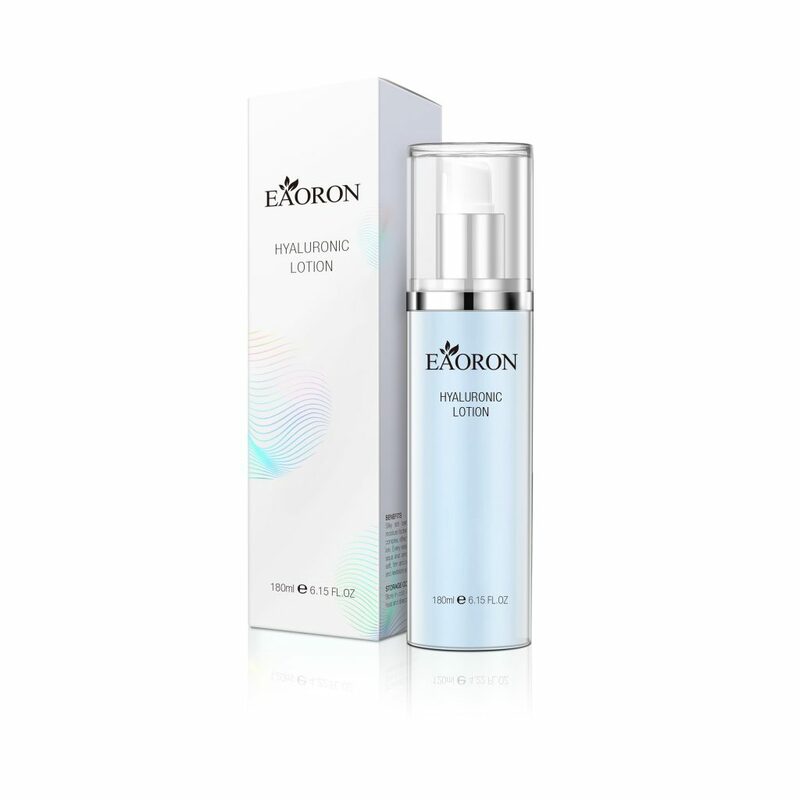 Use one capsule in morning and night.